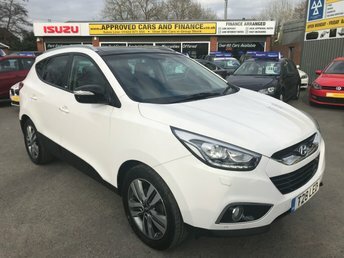 .APPROVED CARS AND FINANCE ARE PLEASED TO OFFER OUR HYUNDAI IX35 1.7 CRDI GO SE 5 DOORS 114 BHP IN WHITE WITH A HUGE SPEC INCLUDING ABS,POWER STEERING,CLIMATE CONTROL,ELECTRIC WINDOWS,MANUAL,FULL LEATHER,REVERSE CAMERA,PARKING SENSORS,BLUETOOTH,ELECTRIC SUNROOF AND MUCH MORE ALONG WITH A FULL SERVICE HISTORY WITH 3 SERVICE STAMPS IN THE SERVICE BOOK.PLEASE CALL 01622-871-555 TO BOOK YOUR TEST DRIVE TODAY. 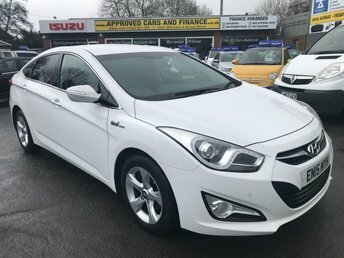 APPROVED CARS ARE PLEASED TO OFFER THIS HYUNDAI I40 1.7 CRDI STYLE BLUE DRIVE 4 DOOR 114 BHP IN WHITE WITH SAT NAV,6 SPEED GEARBOX,AIR CON,ALLOYS,BLUETOOTH,CRUISE CONTROL,DAB RADIO,REAR CAMERA AND MUCH MORE WITH A FULL SERVICE HISTORY SERVICED AT 22K,56K AND 80K A GREAT LOOKING / DRIVING HYUNDAI AND AMAZING VALUE. South Korean car manufacturer Hyundai has built a solid reputation for producing affordable and reliable vehicles. 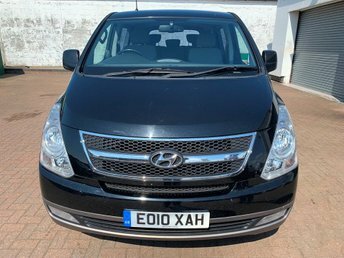 You'll be able to choose from a superb range of used Hyundai cars for sale in East Peckham when you pay a visit to Approved Cars Ltd (Approved Cars Izusu) ? the number one choice for quality pre-owned vehicles. Test drive a used Hyundai i10 if you're interested in a sporty compact with plenty of connectivity features and personality. Perhaps consider a used Hyundai Tucson, a well-built crossover offering plenty of interior space, excellent specs and 4x4 capability. Get in touch with a member of the team at Approved Cars Ltd (Approved Cars Izusu) today to find out more.